A mind-blowing startup starts with a mind-blowing idea, no matter how simple it appears. Today in our series of Superhero Of Startup the superhero badge goes to team Broomberg, for their tremendous work. 1. Tell us something about you and your startup. I am a Delhi University graduate and did my masters at the London School of Economics. I quit a lucrative consulting career at the Boston Consultancy Group to start this company with my childhood friend Ishan Baisoya. Ishan was previously working with Investors Clinic, a real estate consultancy. His keen understanding of property and spaces has helped Broomberg devise astute cleaning modules and helped chart its operations and sales strategy. 2. What was your motivation behind venturing into this? It all began with smoke (a lot of it)! A fire broke at my brother’s home and wrecked the place in August 2013. There was no professional help to clean up such a mess. Then and there, this idea was born. After discovering a business opportunity, I got along with Ishan my childhood friend to start a Professional Cleaning Company in Delhi-NCR when the market for deep cleaning services practically did not exist. We hired a small basement in Malviya Nagar, South Delhi which became our home for the next few months. 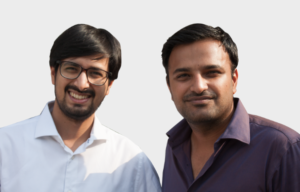 Our close friends Bharat and Amit joined as Sales and Operations One Member Teams respectively. With no formal guidance, all of us followed a DIY learning approach and mastered the technique of deep cleaning all by themselves. 3. Give us a brief background about founders and its core team members? The founding team were 3 individuals. I as mentioned was a consultant with BCG before starting up. The co founder is my close friend Ishan who was in the real estate business. He recruited our sales head Amit who was his colleague at Investors clinic. Bharat, our operations head was recruited by Ishan. He was a student at that time pursuing Law. Ashutosh, our Marketing head joined after a year. He was an MNC employee who had quit his job to study business. Sugandha, who used to work for Ernst & Young as an auditor and Niel who was a sales executive at Express Car wash joined us soon after and are members of the core team. 4. Who do you see as competition and how is your startup different? The home services market is pretty unorganized mostly with small players. We do not consider services aggregators as our competitors as we provide the final service and are not a marketplace so we work with them and not against them. We are different from small home service companies because we have the manpower to do all kinds if jobs big or small and since we have been in the market for more than 4 years we have much more experience. 5. What are the revenues and margins like in your industry? We cannot disclose our revenue and margins. 6. What are your future plans? We are looking at venturing into other cities and grow our service line incrementally. The company wants to add a product line for cleaning supplies in the near future. 7. Any advice you want to give budding entrepreneurs.